Workplace pensions are changing in April 2019. If you employ even a single person then you will know about the new auto enrolment legislation that came into effect in October 2012 which requires anyone who employs even a single person to set up a pension scheme for their staff. At first only the biggest employers in the country were affected, but as we are now well into 2017 smaller companies – those with around 30 or fewer employees – will be reaching their staging dates. This year an estimated 700,000 employers will have to set up new qualifying pension schemes. The government has set up its own scheme to ensure that every employer in the country can comply with the new rules, and there are dozens of companies offering similar services with a range of options. BBi Financial Planning have been working in this area for years and we have worked with a wide range of businesses, auto enrolment solutions and payroll providers. We understand that you’re busy. You have a business to run and your own customers to satisfy. Can you handle the challenge of researching and implementing a compliant and qualifying pension scheme for your staff? We expect you can, but you hire experts to help your business so you can focus on the work that you do best, and the work that makes you money. 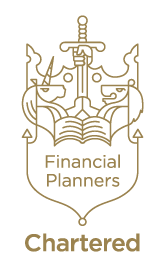 BBi Financial Planning can help you arrange a scheme that is proven, compliant and easy to use. In fact with some payroll software we can make your assessments as easy as one extra click each month. If you want to know more about how we can help you comply with your legal requirements find out more by using the menu above, or give us a call on 020 8559 2111.